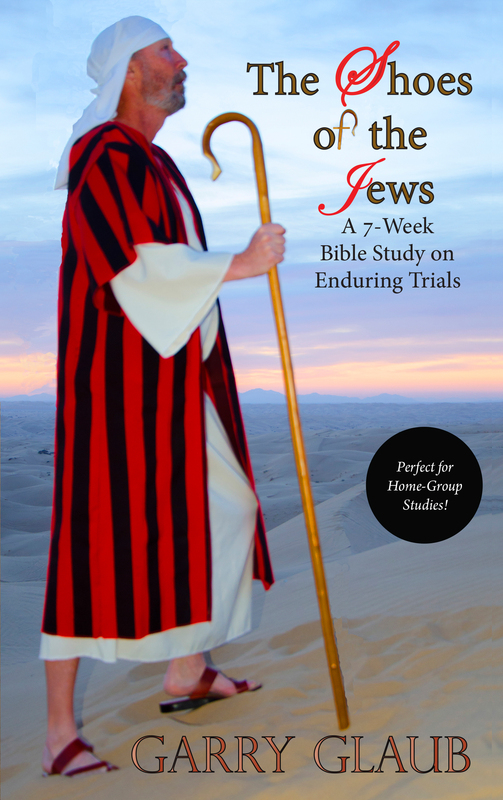 The Shoes of the Jews: a 7-week Bible study on enduring trials. All Christians endure trials, with God as the Potter, molding, stretching and shaping the clay. Without stretching, we have no strength. To a person who never has experienced pain, a pinprick seems deadly. Experience gives us compassion for others enduring similar issues. “Shoes of the Jews” includes seven, sequential Bible studies designed to develop a deeper understanding of the meaning of trials as well as how to endure with contentment. God uses trials to complete His work in us. “Shoes of the Jews” is perfect for home-group studies or for individuals. Each chapter culminates with five discussion questions to increase self-awareness, with the greatest goal in mind, a closer relationship with Jesus. The book begins with a word study differentiating the Biblical meaning of the words “test,” “trial,” “temptation,” and “tribulation.” Chapter 2 discusses a great promise from God in the Book of Deuteronomy — that in the 40-year exodus of the Jews in the wilderness, He did not allow their sandals or clothing to wear out! He offers that same protection to His followers today, as each of us live in a wilderness of sin. Chapter 3 looks at trials through the perspective of Job, while Chapter 4 discusses King David’s approach. In Chapter 5, Paul gives us his viewpoint on trials, and that continues in Chapter 6 with a discussion on the time wasted in worry when we serve a God who loves us and cares for us. Finally, Chapter 7 brings it all back to faith and standing on God’s promises. All of us endure trials, but with that faith, we can stand on the Rock of our faith, rather than standing unsteadily on our own two feet! Walk with Jesus in the shoes of the Jews through your wilderness!